Many people wonder why all of the time, attention and money have been given to Africa from Western resources over the last 50 years. The southern half of the continent has been “Christianized” – including everything from ancestral worship mixed with some aspects of Christianity to over 500 types of cults – but this seems to be a religion of the head and not the heart. The true principles of Christianity are not changing lives. We believe discipleship is the key to experiencing the real, life-changing love of Jesus. 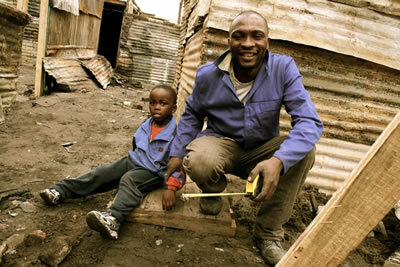 "Diversity is a key feature of South Africa, where 11 languages are recognised as official, where community leaders include rabbis and chieftains, rugby players and returned exiles, where traditional healers ply their trade around the corner from stockbrokers and where housing ranges from mud huts to palatial homes with swimming pools. The diverse communities, however, have not had much representation for long. 1) LANGUAGE: The country has 11 official languages. 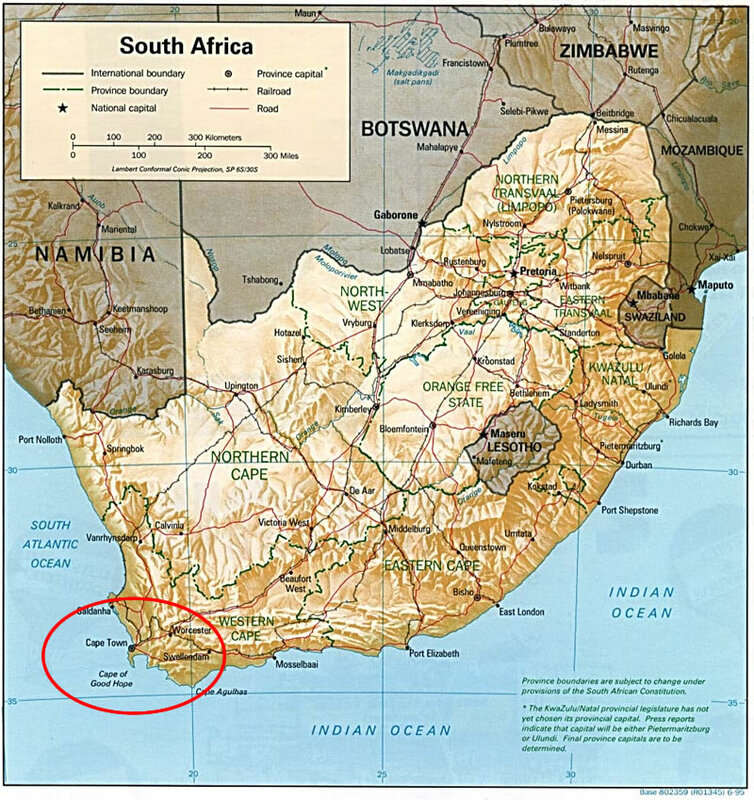 2) SIZE: South Africa is almost twice as big as Texas and three times the size of California. 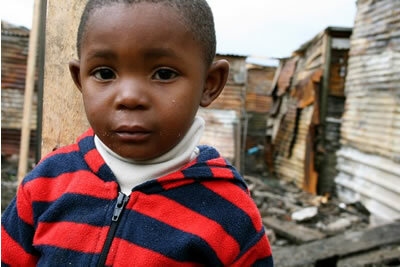 3) TVS: There is one TV set for every eight people in South Africa. In the U.S. there are four TV sets for every five people. 4) GOLD: Almost 40 percent of the gold mined on Earth has come from South Africa. 5) WILDLIFE: South Africa has one of the world's great wildlife sanctuaries. It's called Kruger National Park and roaming free through the park are more than 500 different types of birds and 147 different mammals, including lions, leopards, elephants, water buffaloes and rhinos. 6) CLIMATE: Because it's below the equator, South Africa's summers begin in September and last until April. Daytime temperatures during the summer range from the 60's to the 90's. The nicest weather is usually in April and May. 8) APARTHEID: From 1948 until 1994 the South African government enforced an official policy of apartheid. This not only made it a law for the races to stay separate, but it also allowed the white minority, although outnumbered 4 to 1 to control the country. Racial segregation in South Africa began in colonial times, but apartheid as an official policy was introduced following the general election of 1948. New legislation classified inhabitants into racial groups ("black", "white", "coloured", and "Indian"), and residential areas were segregated by means of forced removals into townships. In South Africa, the term township usually refers to the (often underdeveloped) urban living areas that, under Apartheid, were reserved for non-whites (principally black Africans and Coloureds, but also working class Indians). Townships were usually built on the periphery of towns and cities. During the Apartheid Era blacks were evicted from properties that were in areas designated as "white only" and forced to move into townships. Roughly 60% of white South Africans speak Afrikaans as their mother language and about 39% speak English. Speakers of Afrikaans refer to themselves as Afrikaners. Unlike the Afrikaners, the English speakers have not constituted a coherent political or cultural entity in South Africa. Hence, the absence of a commonly accepted term to designate them, although 'English South African' or 'English-speaking South African' is used. Coloured (8.9%) - an ethnic group of mixed-race people who possess some sub-Saharan African ancestry, but not enough to be considered Black under the law of South Africa. Most Coloured South Africans have a cultural identity distinct both from that of Blacks and Whites. The majority speak Afrikaans. Although "coloured" is an offensive term in the United States, this is the widely used term in South Africa. 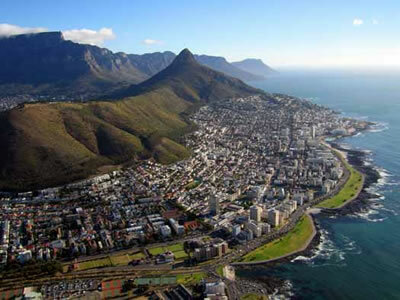 10) GEOGRAPHY: South Africa, on the continent's southern tip, is bordered by the Atlantic Ocean on the west and by the Indian Ocean on the south and east. Its neighbors are Namibia in the northwest, Zimbabwe and Botswana in the north, and Mozambique and Swaziland in the northeast.